As HIV research continues to move forward the question prevails—how close are we to an HIV vaccine? Now, the Global HIV Vaccine Enterprise (Enterprise), hosted by the International AIDS Society (IAS) is laying out a strategic plan to try to answer that question, as announced today, October 22, 2018, at the opening of HIV Research for Prevention in Madrid, Spain. IAS has released a 5-year strategic plan with an overarching goal of using the support of global stakeholders to achieve the vision of a safe and effective HIV vaccine that is globally available. “While the HIV vaccine landscape offers greater scientific promise than ever before, the field also faces real challenges in terms of aligning scientific priorities, developing the smartest and most effective research studies, maintaining funding, and engaging and maximizing the contributions of all global stakeholders in the search for a vaccine,” Anton Pozniak, MD, president of IAS, said in a statement. The plan seeks to address critical issues that have inhibited progress thus far, including the rising cost and complex nature of vaccine trials. Related challenges include the need for local regulatory licensing capacity in areas with increased numbers of cases as well as the need to create manufacturing capacity to ensure stable, cost-effective, vaccine supply. Another challenge to this point is the fact that funding for the research and development of a safe and effective HIV vaccine has remained relatively flat for the past decade, with approximately 85% of funding provided by the US Government and the Bill and Melinda Gates Foundation. An additional area of critical concern are the gaps in scientific knowledge, specifically regarding immune responses—mucosal immunity, microbiome responses, and bNab generation—and understanding which responses could provide vaccine-induced protection. In order to address the gaps and challenges, the plan will focus on the areas of greatest need which include progressing clinical research, product development, and implementation/deployment while simultaneously increasing funding for vaccine research and monitoring epidemics in various regions and populations. To measure the success of the commitments, the Enterprise has established key outcomes in the areas of vaccine portfolio, enhanced readiness for a vaccine, and funding that should be met. To fulfill the goal of being prepared for implementing use of an HIV vaccine, there should be clear regulatory pathways, clarification of acceptable vaccine dimensions, and plans to reach priority populations in the areas of most need. 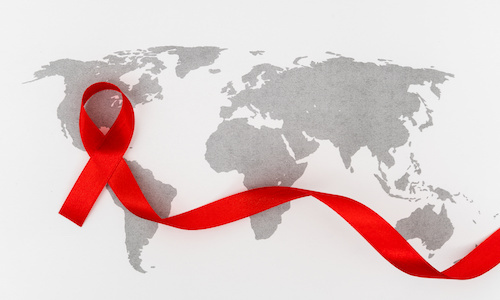 To ensure diversified funding for the field of HIV vaccination, it is imperative to increase funding, generate a larger population of funders from various geographical spaces, and to increase the resources and collaboration in the industry. While the question of how close we are to an HIV vaccine still remains unanswered, the strategic plan indicates that preparation is underway. Can Gene Editing Tool CRISPR Dispense With HIV?